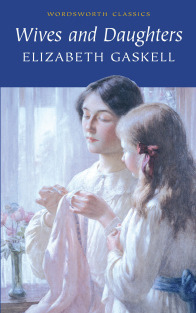 Gaskell's last novel, widely considered her masterpiece, follows the fortunes of two families in nineteeth century rural England. At its core are family relationships - father, daughter and stepmother, father and sons, father and step-daughter - all tested and strained by the romantic entanglements that ensue. Earlier this year I watched a TV adaptation of Wives and Daughters and realised I'd never read the book. One of the best things about this read was seeing how closely the TV version followed the original text. The plot is engaging and the characters ensnare your interest right from the start. A wonderful classic that beautifully stands the test of time. North and South is still my favourite of Gaskell's works, but Wives and Daughters comes in a close second.